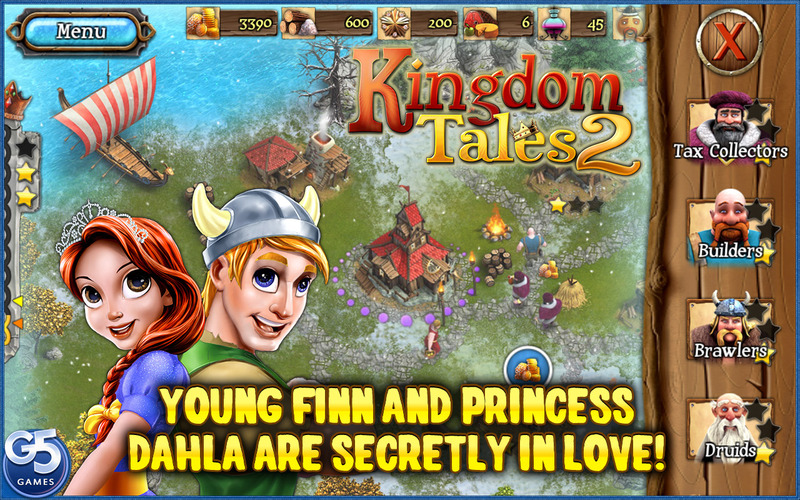 Help young Finn reunite with his beloved Princess Dahla in this exciting time management adventure! The only daughter of the fair King Arnor, Dahla was known throughout the land – the rising sun was no match for her beauty, nor were all the druids a match for her cleverness. Noble lords from many kingdoms begged the king for his daughter’s hand, but no one was good enough for her as her heart already belonged to a skilled blacksmith named Finn. 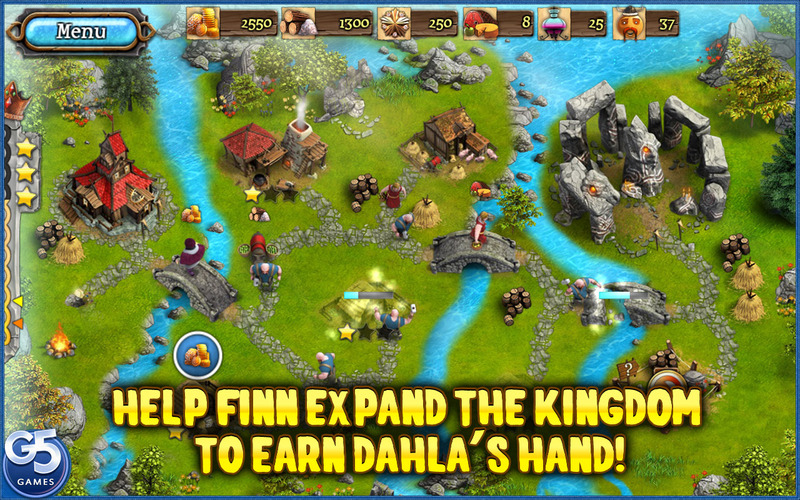 When their secret love was revealed, the king became enraged and proclaimed that only the man who proved himself most worthy in the expansion of the kingdom would earn Dahla’s hand. 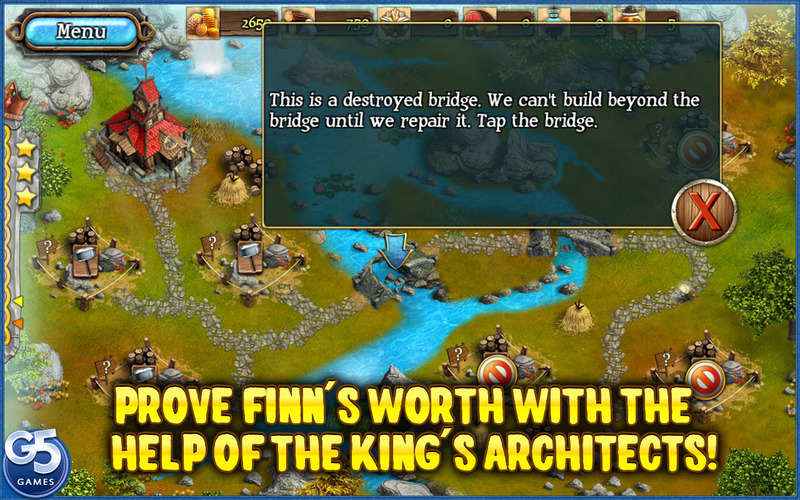 Join Finn’s quest to make the best contribution to the expansion of King Arnor’s great kingdom with the help of the king’s builders and architects! 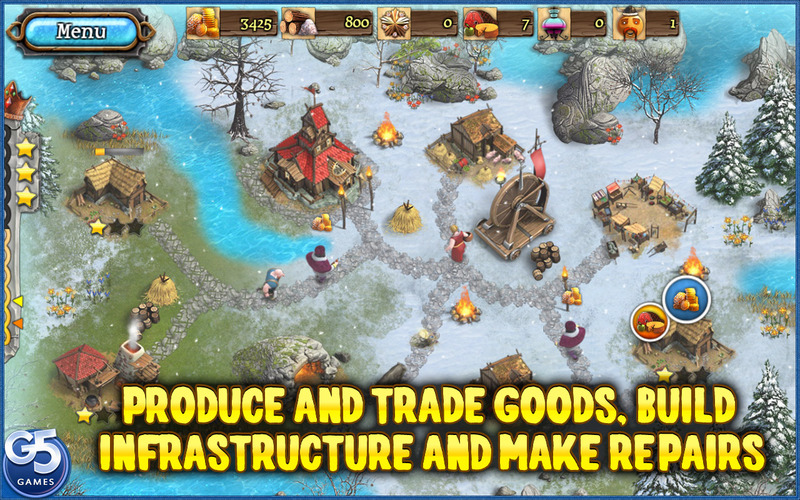 Explore, gather, produce, trade, build, repair and keep the people happy in this noble mission. But watch out – the greedy Count Ohli and his spies never sleep! 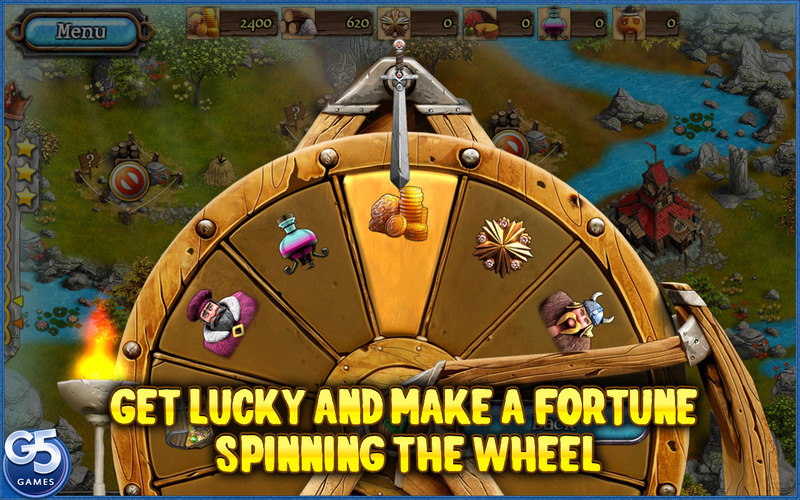 Kingdom Tales 2 © 2015 - 2019 Cateia Games. Published by G5 Entertainment AB.